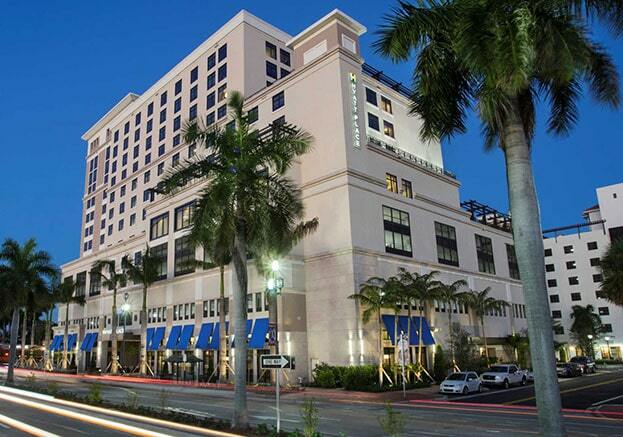 Hyatt Place Boca Raton is a welcoming hotel for business travelers and families. In the heart of downtown Boca Raton and adjacent to the Royal Palm Place shopping and dining district, Hyatt Place Boca Raton is just a short walk to the famed Mizner Park, Mizner Amphitheater and iPic, Mizner’s upscale cinema. With its abundance of championship golf courses and located just one mile from the breathtaking beaches and a short drive to both West Palm Beach and Fort Lauderdale International Airports, Hyatt Place Boca Raton offers the best of locations in the Palm Beaches.